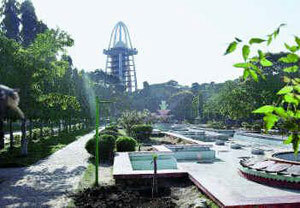 This is the highest and biggest park tower in Chennai, located at Anna Nagar Park. It has cyclic stairs. Full view of the city can be seen from Top of the Tower. The Anna Nagar Tower is one of the tallest park towers in Chennai. It is located in the Anna Nagar Park near the Anna Nagar Roundana. The tower has cyclic stairs and one can see about 20 to 25 acres of land from the tower top. The park has many big trees and green bushes. There is a Children's park inside the main park.There is Prime Park exclusively designed for Children is located close to this place. Timings: The Park opens at 5.30am and remains open till 10.30am in the morning. In the evening, the park opens at 4.00 pm and closes by about 6:30 – 7:00 pm. In the Weekends the park will be open a little more time than usual.